How I wish I could share more about my current favorite style during this season - because I literally have so much things to share with you, especially after seeing so many fashionable girls on my trip in Korea. 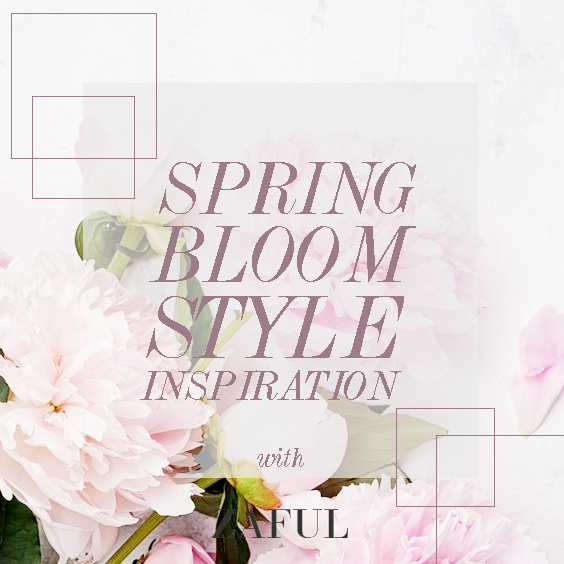 That's why right now, together with ZAFUL, I prepare some style inspirations that suit for this blooming season where we can wear lighter fabric with more playful tones - featuring the fancy sneakers, stripes, checks, and of course the iconic spring color. Well, for me, spring is all about playing with pattern and colors, plus, it is the right time to purchase new item for our wardrobe because spring outfit can be worn as winter or summer outfit as well. Thus, if you're looking for the most updated spring outfit, you can give a look at zaful promotion - because currently they have many options of newest collection that you shouldn't miss ! Great choices ♥ I love both sets from you. But combination of color and pattern in "Warm Stripes" is just perfect! That pink coat in the first look is SO cute. I love everything about that look! Love the way you played with these two patterns. The striped set and the checked top are too cute for summer! I love the style, cool! Hi dear! Really stylish sets you made. I really love the first one because it's so cute, top and skirt mix are perfect. I nominated you for a blogger Award over on my blog this week! This Award is made to let other bloggers and your followers more about you. It's super fun and helps you connect with your readers a bit more. Hope you stop by and have look. Have a beautiful rest of your week!